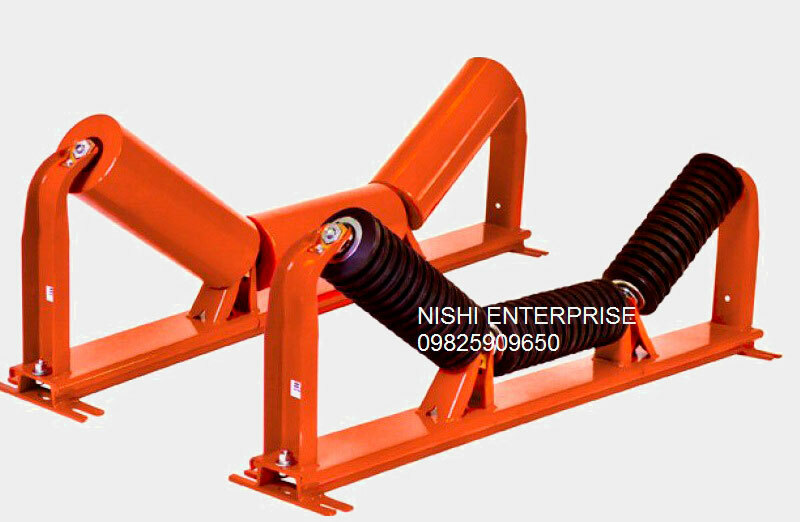 Nishi Enterprise is a highly established designer, manufacturer and supplier of top quality Idler roller components in India. We are known for our exquisite products that we create from the finest raw materials. We can provide you with an extensive range of idler roller products that will be good for your business. Idler Roller components can provide with high end solutions and can be used in belt conveyor parts. Our idler roller systems are known for their superior construction standards which make them perfectly suitable for various applications that require handling of bulk materials and an extensive range of light and heavy-duty applications. We can offer you high precision designed components having press-fit end discs along with bearing assembly. This makes them perfect for optimum performance at an economical price. Based on your specific needs, you can choose from our wide range of carrying belt training idlers, return idlers, impact idlers and carrying idlers as well as return belt training idler products. Gravity conveyors are capable of moving the load easily without using motor power sources. They can operate down the incline or with the help of a person who pushes the load right along the flat conveyor. The gravity roller conveyors are capable of transporting products from one point to another. They can also handle work in process. These gravity conveyors also serve as an ergonomic and low cost method for moving materials. Carrying idler rollers are typically used for supporting conveyor belts. They are mostly installed on groove shape frames, transition idler frames and groove shape idler frames that are forward inclined. These rollers include multi-labyrinth sealing and high quality bearing. They are also sealed and greased for life. These components have critical specifications that are essential for guaranteeing a high performance. Impact idlers are yet another important variant of idle rollers. They are usually coated with shock-absorbing materials that have high strength properties. The cores and coating of the roller minimize any kind of structural deformation that may happen due to weight transfer shocks. Return idlers are suitable for carrying materials that are often sticky and can affect the efficiency and longevity of the surface of the conveyor belt. Due to this reason these rollers are usually equipped with specially prepared spaced rubber rings that help in removing building up of scale which can impact the belt surface after being used for a certain period of time. The rubber-coated idler rollers are equipped with a number of different attributes, which in turn makes them perfectly suited for managing items at very high temperatures while being exposed to water, oil or any kind of corrosive chemicals. The troughing idlers effectively guide transportation of various objects on the conveyor. 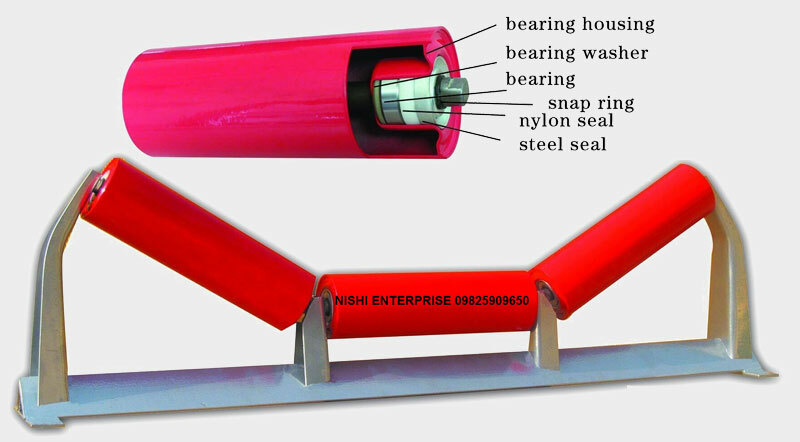 These idler rollers generally run beneath the conveyor belt and form a trough which helps to keep the loose materials from accidentally falling off the conveyor belt. The belt-driven drive idler rollers tend to move different kinds of resources with a very high speed and only minimum energy consumption. It is due to this reason that they are considered useful for various projects. Idler rollers are assembled in various types of automated modular units. The platforms are equipped with control systems on numerous linked modules that effectively deliver selective control over the units present within the assembly environment. The idler rollers have modular configuration which use sensors to ensure superior performance. These sensors can activate these drive motors once any kind of load is detected, thereby eliminating the necessity for continuous operation and functioning of the setup. 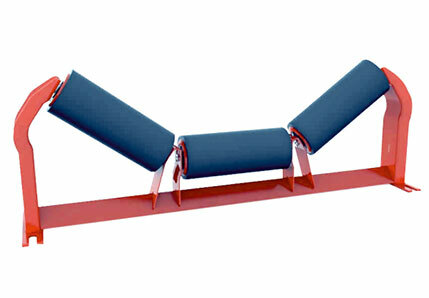 The idler rollers are essential for controlling the functioning of conveyor rollers. They help to reduce energy losses that are caused by mechanical friction. They can be used for a wide range of speeds and load items. The surface of idler rollers is usually coated with a material to ensure smoother performance. The rubber-based coatings help to alter the friction, noise reduction, shock absorption, as well as deformation properties. There are also special coatings that facilitate resistance to mechanical wear, corrosion and temperature variations. The bulky resources that are found in mining, logistics and ore processing commonly deploy various forms of rubber-coated elements with heavy duty features. Such items can absorb reduce noise, impact and reduce vibration. The troughed design of the idler rollers can support the system of rollers that are placed at inclined angles, thus creating troughs for preventing the spillage of materials. Here are some of the applications of idler roller products.